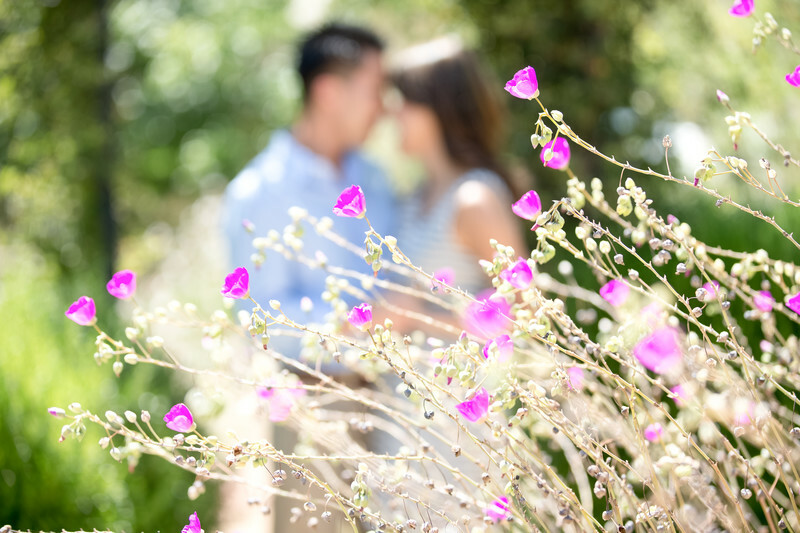 Arlington Park Engagement Session in Pasadena, CA. Spring has sprung! Lovely splashes of purple, green and gold highlight this Pasadena engagement session image.